Traveling to Korea this winter? 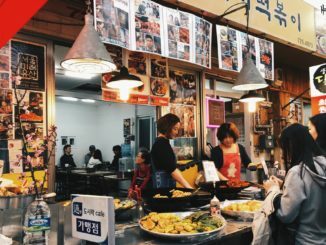 Stop doodling during your winter break and check out these year-round fun indoor activities that you must try in Seoul, South Korea. From crafting a one-and-only souvenir with Korean traditional paper ‘Hanji’, to designing your own one-of-a-kind ring and trying on traditional Korean costume, ‘Hanbok’, these 3 unique indoor activities will make the most out of your winter getaways! Instead of buying a souvenir on the street or from a store, try making one yourself! In the heart of Insa-dong, the traditional district in Seoul, you can experience making a Korean traditional craft with your own hands! Speaking of ‘Hanji’, it’s an incredibly strong, fibrous paper made from the inner bark of the mulberry tree and the root of hibiscus. Once you try this activity, you will be enamored with the true beauty of Hanji craft. With the help of the master craftswoman, you will be able to make various kinds of souvenirs such as flower lamp, jewelry box and cubic lamp! Check out more details here. Making a DIY custom ring is a popular new trend among young stylish people in Seoul. It became a smash hit after Korean celebrities, Gain and Jo Kwon, made their own matching rings on a reality TV show called ‘We Got Married’. You can choose the size and style of the ring, as well as engrave initials or words. Everything’s up to you! Spare one day with your friends, family and your significant one to make rings at a workshop in Hongdae (Hongik University Area). 100% satisfaction guaranteed! For details and directions, click HERE! Here at Goguan Studio, one of the most popular places to experience the Korean culture and try Korean traditional clothes ‘Hanbok’, you can choose to put on the beautiful Hanbok and hair ornaments that you’ve always seen in Korean dramas and films. In winter, the studio is relatively quieter than summer, so go ahead and pick your favorite Hanbok to try on! You can also enjoy this experience at a reduced price here! To discover and explore Seoul and other parts of South Korea, check out Korea’s #1 Travel Guide, Trazy.com. Here, you can find out the latest, trendiest things to do and easily make your travel arrangements in South Korea. 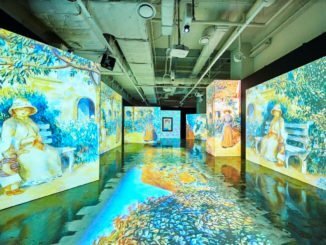 [K-Travel] 6 Art Exhibits to Check Out if You’re in Seoul this Winter! 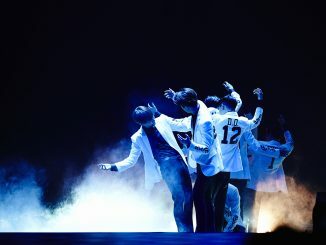 [K-TRAVEL/TRAZY] Fulfil your dream to attend the Dream Concert 2016! This Market in Seoul Let You Purchase A Dosirak (Lunchbox) and Fill it with Street Food for 5,000 KRW only!